… but are our less able passengers sold short? A charity has recently criticised the UK tourism industry demanding that attractions be made more accessible for wheelchair users. Ted Hill of the British Polio Fellowship was astonished and called upon venues to make themselves completely accessible for all. A recent survey commissioned by the Department for Work and Pensions and conducted by Vitalise (vitalise.org.uk) found that nearly two thirds of Britain’s top attractions were not fully usable for wheelchair users. With more than 11 million people in the UK with limiting long-term illness, impairment or disability with the majority of these affecting mobility, this is around a sixth of the population that need special facilities. Visit England has admitted that improvements were necessary but progress had been made in recent years. The accessible tourism market is worth more than £2 billion a year to England’s tourism industry. Access Theatre by the Lake is open to all and we have tried to make sure that everyone who comes to our auditoriums, galleries or café has a problem-free visit. We hope we have thought of everything but please call us in advance if you may need extra assistance. We are always ready to help. The nearby car park has spaces reserved for visitors with physical disabilities and we have a wheelchair to ease your passage into the theatre. Inside, all floors are linked by lifts and there are adapted toilets on all levels. Wheelchair spaces are available in both the Main House and Studio. 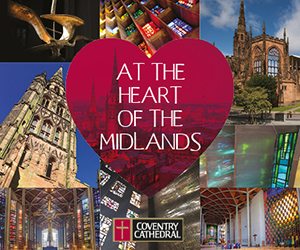 All our brochures and programmes are available in large-print versions. We also produce an Audio Brochure on CD for which there is no charge. You can listen to the audio version of our new January – May 2014 season brochure on our Soundcloud page. To request any of this material or to have a copy of our access guide call Box Office on 017687 74411. For blind or partially sighted theatre-goers we offer audio-described performances at which a narrator describes the action on stage to patrons through headsets. Touch tours are available an hour before most performances, where you can come on stage and explore the set of the play you are about to see. Touch tours must be booked in advance with the Box Office. We are always pleased to welcome guide dogs. Relaxed Performances are designed for anyone who would benefit from a more easy-going environment, including children and adults with Autism Spectrum Conditions or learning disabilities, as well as families with young children. There’s no need to worry about disrupting the show, as there will be a more relaxed attitude to noise and movement and audience members may leave the auditorium at any time. The lights will remain up in the auditorium and loud sound effects will be dampened to help those who are easily alarmed or upset. Extra staff will be also be on hand to assist with seating and access arrangements. Please call the Box Office on 017687 74411 to book for these performances. Special tours We offer special tours of the theatre to people who book for our Relaxed Performances. On a day of your choice, one of our friendly members of staff will show you around the theatre so you can get to know it a bit better. You’ll see the Front of House areas, including the café, toilets and where the ‘chill-out space’ will be on the day of the performance. You’ll also see the auditorium, including where you’ll sit to watch the show. To book a tour, please contact Mary Elliott at mary.elliott@theatrebythelake.com or 017687 81103. For further details and to book for an audio-described or Relaxed Performance, call the Box Office on 017687 74411. Lowest price tickets are available on request for disabled customers for all performances. Patrons who need the help of a personal assistant, carer or companion may request one additional ticket at the same rate. Also…Theatre by the Lake is to extend its work with people with dementia after receiving grants to build on activities that have already made it a pioneer among regional theatres. Woburn Safari Park has worked hard to ensure they offer a fully accessible park to people with disabilities and wheelchair users. The park looks forward to welcoming you and making your day as enjoyable as possible. Your coach is your transport around the animal reserves and all vehicles take the same route which takes around one hour. You can repeat the Road Safari route through the reserves as many times as you like during your visit. The majority of the Leisure Area is accessible by wheelchair although movement around the attractions can sometimes involve a steep gradient. If you need assistance with boarding the Great Woburn Railway then just ask the driver and he will be pleased to help or reserve the special wheelchair accessible carriage. Wheelchairs are welcome in the Rainbow Landing Aviary and staff are available in the reception area to give advice before you enter. All entrances into the Safari Restaurant allow disabled access and the food counter is also accessible. Staff are happy to assist with taking trays to tables if necessary. Most aisles are accessible by wheelchair in the Junglies Gift Shop and staff will even help you with your shopping. There are a number of wheelchairs available to hire, free of charge, but please book in advance. Tel: 01525 290826. Disabled Concessionary rates are available which also applies to the carers on a one to one ratio. All keeper talks are accessible by wheelchair with space available to the side or back of tiered seating. Please make yourself known at the beginning of the demonstration. Disable toilets are located at the main entrance to the park , in the safari restaurant, in the Mammoth Ark play area, outside the Animal Encounters area, by the gift shop and adjacent to the Badger Valley play area. Hearing Loops are positioned a till points throughout the Safari Park. Westfield Stratford City and Westfield London are exceptional examples of twenty-first century shopping and welcomes a new generation of consumer to shop, to eat and to meet. Once in-centre, interactive kiosks ensure visitors can establish the best route to and from one store to another and concierge staff are specially trained to ‘World Host’ standards are on hand to personally answer any questions regarding the experience at the centre. Visitors craving convenience with a desire for indulgence will be met by the concierge and valet team providing services such as valet parking, hands-free shopping, UK and international home and hotel delivery, cloakroom and bag storage services and personal styling. Food is as important as fashion at Westfield and top restaurants offer group rates when booked in advance. Don’t allow limited mobility stop you from enjoying the amazing shopping opportunities available at Westfield London and Stratford City. Free wheelchairs or motorised scooters are available to help you make the most of wheelchair friendly malls and restaurants, as well as free, large print Mall Guides to help you find your way around. (available from Concierge). In late 2015, Westfield London and Westfield Stratford City will further enhance their group service offer with the launch of a dedicated groups brochure which will include in-depth detail on both centres as well as contact details for booking group rates in top restaurants, information on guided tour packages and also suggested itineraries for the nearby area. The attraction includes the National Motor Museum, Palace House and Beaulieu Abbey. Beaulieu is committed to making its services accessible for all. Our staff are trained in disability awareness to the latest standards set by the local Tourist Authority and are here to ensure you enjoy your visit. We continue to make improvements all the time and the majority of the Beaulieu site is accessible to all visitors. The nature of some of the attractions, in particular our listed buildings, require us to maintain their historical integrity and so large scale alterations are often not possible. We firmly believe however, that targeted improvements in the right areas can make all the difference and we are working with our visitors and local access groups to identify where the improvements are most needed. We have employed an Access Auditor to conduct regular audits of the Beaulieu site and we have formulated an access plan for improvement of facilities in the next few years. From the findings of our access audit and in conjunction with the valuable feedback from a visitors’ survey we have formulated medium and long term plans for this year and subsequent years We welcome comments on our services so please ask for our accessibility questionnaire during your visit to Beaulieu. 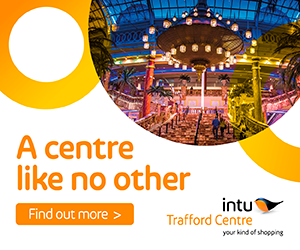 If you require any advice or special help for your visit, please call us on 01590 612345. 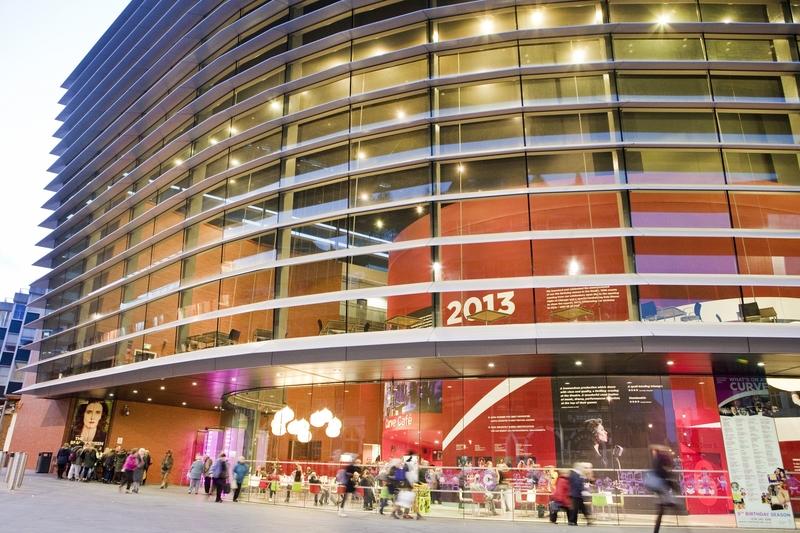 This attractive and atmospheric theatre in Leicester’s convenient city centre continues to wow theatre-goers with spectacular world premieres and the opening of major national tours. Curve is located right in the heart of Leicester’s city centre in the Cultural Quarter with coach drop-off points just outside the theatre. For groups, even those with special access facilities, this impressive modern theatre is welcoming and offers excellent services, facilities and benefits. Screens are displayed in the auditorium running the text (just like subtitles). There is usually a ‘Captioner’ who will make adjustments to the live dialogue as the performance happens. A sign language interpreter stands at the front of the auditorium/forestage who will translate the dialogue into BSL during the performance. An ‘audio describer’ describes what is happening on stage to customers who have collected an audio describing headset from the Ticket Office. Infra-red and Induction loop hearing systems are also available in all of our theatres, please ask at ticket office for a headset . Explore the auditorium/set/characters through touch prior to the performance to get a sense of what will be happening on stage, and experience the different voices you will hear. Guide dog spaces are also available upon request. Performances are tailored for customers who would benefit from a more relaxed performance environment. Audience members are free to make noise and while the theatre doors will close, audience members can come and go as they please. Public areas are also accessible to wheelchair users, including lift access to the circle level. Available on both stalls and circle level. We also have a changing places accessible, assisted toilet with adult hoist. Available on Southampton Street, in the NCP Rutland Centre Car Park adjacent to Curve, and we have a drop-off point on Rutland Street. Designed to provide access to customers who find it extremely difficult or impossible to attend alone. Customers requiring particular assistance or an essential carer are asked to join our Access Register before booking tickets. Once you have joined, call Ticket Office on 0116 242 3595. Our Access Register stores information on your personal requirements so that you don’t need to resubmit evidence each time you book. To join, download the form from our website or contact the Ticket Office on 0116 242 3595”. The award-winning Curve theatre in Leicester has added another trophy- for its accessibility by people with impairments.The venue has been awarded a Highly Commended Access for All Tourism Award at the VisitEngland’s Awards for Excellence 2014- the second time the theatre has been recognised in the national awards. The recognition is largely due to its latest adaptation- inclusion of a Changing Places toilet for visitors who need the help of a carer. This Christmas, Leicester will come alive with The Sound of Music as Curve theatre is presenting a brand new production of the much-loved Rodgers and Hammerstein classic from 28 November to Saturday 17 January. In other exciting news for groups, from 7 March – 4 April 2015, Curve will be premiering the brand new musical adaptation of Sue Townsend’s The Secret Diary of Adrian Mole Aged 13 and ¾. But book early to avoid disappointment! Historic Hever Castle & Gardens in Kent offers groups a memorable day out in the Garden of England. Situated in the heart of idyllic countryside, the romantic castle is famous for being the childhood home of Anne Boleyn, second wife of Henry VIII and mother of Queen Elizabeth I. The original medieval castle with its gatehouse and walled bailey was built in 1270, with the Tudor dwelling added within its walls by the powerful Bullen family who lived at Hever during the 15th and 16th centuries. Its splendid panelled rooms contain fine furniture, tapestries, an important collection of Tudor portraits and artefacts including two Books of Hours signed and inscribed by Anne Boleyn. “At Hever Castle and Gardens we strive to ensure that all visitors have an enjoyable experience. 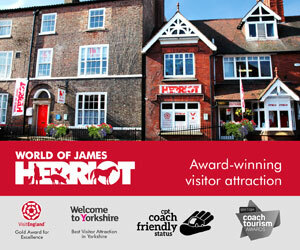 We welcome visitors with disabilities and offer discounted rates for groups who have a special need”. 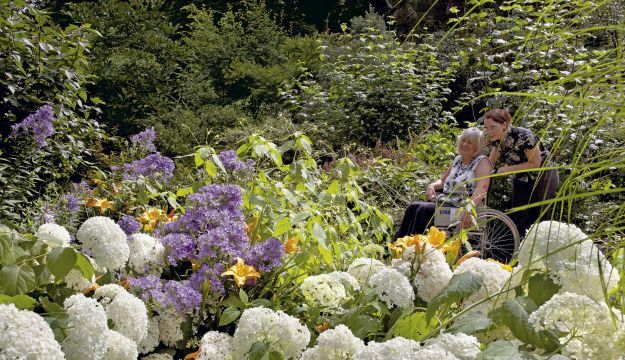 Most of the gardens are accessible to wheelchairs as they are on one level and the majority are ramped. In the castle, the ground floor only is accessible to wheelchairs (there are spiral staircases to the other floors). There is also wheelchair access in restaurants, shops, the water maze and the miniature model houses exhibition. We have a limited number of manual wheelchairs for loan on a refundable deposit basis subject to availability. There is also now a golf buggy to transport visitors with access issues. Pick-up and drop off points are located at Top Gate and the Information Centre and the buggy operates between the hours of 10.30am and 5.30pm. Toilets with accessible facilities are located near the main ticket office. The Moat Restaurant and the Pavilion Restaurant both have accessible facilities. There is also an additional accessible toilet beyond the Lavender Loos to the left of the Courtyard shop. 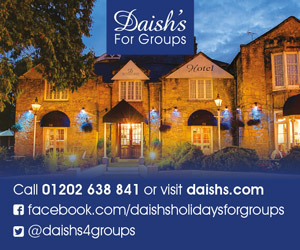 For more access information tel: 01732 861701. Capture the spirit of Christmas with a memorable day out that casts a spell on all the family. Beautifully decorated Castle rooms, welcoming log fires and twinkling Christmas trees. Bring the children to meet Father Christmas, enjoy relaxed Christmas shopping in the Gift Shops, and sample delicious festive food in the restaurants. As dusk falls, the gardens are magically illuminated with up-lighting and colour washes.